Cash and carry retailers and all forms of food service. 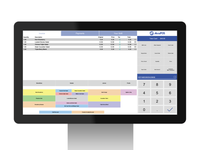 AccuPOS Point of Sale creates a fast and simple solution for your restaurant and retail environments. Easy for employees to use and deliver a great customer experience at checkout. Works with any modern Windows and Android devices anywhere in the world. AccuPOS Restaurant and Food Service Reviews Recently Reviewed! Over a decade of reliable service and product evolution. Pros: There are two main reasons I originally gravitated towards AccuPOS, which continue to set it apart from the competition. 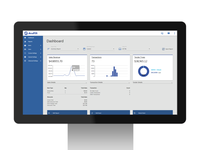 The first was the fact that it integrates with and stores data in QuickBooks, thus providing a powerful, mature platform for product entry, inventory management and reporting. The second reason I was attracted to AccuPOS is that it also stores data in a Microsoft Access-compatible database format, allowing me to do powerful customized data mining and analysis. Over the years the software has improved, and more recently I have been impressed with the new generation (2015) of the product, which has taken it to a new level of sophistication. Lastly, we have had a very good experience switching to integrated credit card processing with Mercury Payment Systems (the AccuPOS partner), speeding up our transactions at the point of sale while lowering our rates. Cons: I have no major complaints about AccuPOS. The biggest problem with it is probably that it is not a large software vendor with a massive sales volume, and therefore their product does not have the same level of maturity and sophistication that some might expect. 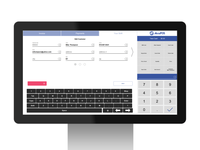 However, in this price range one will inevitably encounter limitations and software quirks with any POS solution. Earlier versions of the software definitely suffered from some clunkiness, although with the 2015 release much of that has been eliminated. One thing they could have done better is to communicate what a major change it was going to be to upgrade to the new generation of the software so we could have planned for the down time and necessary adjustments to adapt to the new system. The other difficulty I will mention is their method of verifying the software registration, which has caused us some problems. In order to verify that the software has a valid registration it must communicate, via the Internet, with their registration server each time it is started. So when their server is down AccuPOS cannot verify its registration and the software disables the ability to z-out until the registration has been validated. Also, at our location we have redundant, load-balanced Internet connections and there have been ongoing problems with our registration being validated to a specific IP address. Recommendations to other buyers: Know that evaluating and comparing POS software is challenging and be prepared to spend some significant time and effort. Don't rush your decision. Be diligent in identifying your requirements and drilling down to get the answers about whether the software can do what you need it to do. Ask to speak to customers who are using the product and possibly visit their locations to see it in action. Once you have made your selection, be aware that implementation of the POS system is going to be a challenge no matter which one you choose. Pros: Complex functionality with simplicity of use and configuration. 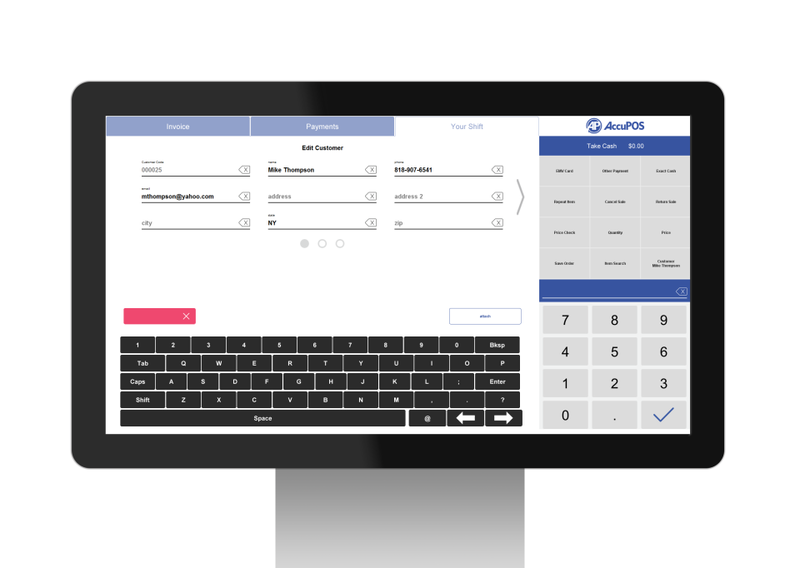 AccuPOS is always a quick phone call away with never a long wait on the phone. Cons: Nothing. There will be glitches, and since the primary OS is Windows based, you will have to deal with Updates very often, as well as updates to JAVA. It would be interesting if a version for MAC would be available, but then you'd have to find the right combination of peripherals. Most of the POS world is built on the PC platform except for silly POS posers like Breadcrumbs. PC's crash, they hang, and always at the worst time, of course you need to choose your Credit card processor carefully too. 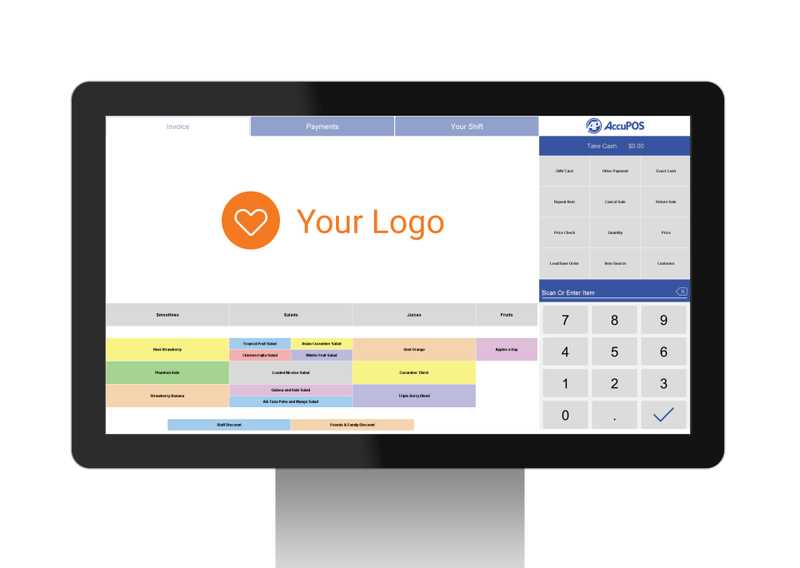 I want AccuPos to build a robust loyalty module that works with their new signature pad, capturing emails for marketing to our customers. Recommendations to other buyers: When you start out looking for a POS system as a Business owner, the first thing that knocks you off your feet is the price. So if you don't want to use a simple cash register or a cigar box, you will have to resign yourself to eating the cost and making the commitment. Buying a POS is sort of like getting married. There's going to be love, spats, emotional turmoil, love and settling into a long and trusting relationship. Back in early to middle 2000's, I married AccuPOS, for better or worse. I have to say for the most part it has been better, NO, really, really good! Micros, and Aloha are for the Big Boys, and you will never have a relationship that goes beyond waiting for a tech. There are hundreds of POS systems on the market and I wish you luck if you want to test them all out, and see if they work for your business. We started a Café and Catering business back in 2003 and wanted QuickBooks integration, ease of use, and management tools to help us. After all, if you are not part of my solution, you're part of the problem! (a quote from my Dad) It's not going to be an easy process, and in fact, it's going to take time and dedication on your part to learn the AccuPOS System and tailor it for you needs. This will absolutely hold true no matter what POS you purchase. With us, It came down to the fact that back in 2004 very few systems could be set up for a Café' - Gourmet Prepared Food sales using embedded barcodes from a Scale - A Restaurant, and Retail Items: being effective at ALL of these requirements . AccuPos was the only system that could accomplish this at any cost. Not only was the system and software able to handle everything we threw at it, it was able to do it flawlessly! 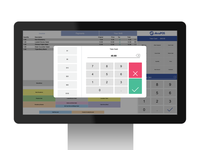 Since we first started using AccuPOS, we have been through too many revisions and upgrades to count. Each and every one has been better, BUT, not always the first time. This is where their support comes in. Please everyone stop whining about paying for support, and upgrades. Engineers and Software Designers like to be able to put gas in their cars and food in the fridge too! Aloha and Micros are going to hit you for support fees so, get used to it it's a business expense. I will agree with other reviews you may have read that for a short time, AccuPOS had issues with support, getting through to them, and endless waiting on the phone. Happily, THAT has ALL changed! The beauty of AccuPOS is that they listen, REALLY they DO listen, and they have taken many of my suggestions to make better software and easier to use software. In fact, we asked them to customize some of the buttons and keys that we needed, and in a scant few days, we had our own custom button layout that fit into their design parameters. Of course they were not going to re-design the program for me, but they were able to add and take away function keys to make our operation easier to run. Fast forward to this past week; we decided that we were going to have to migrate our business off of the older 2013 Version and onto the 2015 version. Now this is not going to make a difference to you if you're starting from scratch so I'll be brief. The entire layout and screen has changed from the older version to the new 2015 one, and oh boy, is it AWESOME! It's like moving from a Prius, (tried and true) to a Ferrari which is slick perfection. A POS system must be logical and intuitive. You can't spend your time hunting and searching for items, and performing customer centric functions. The time you put into preparation, SKU's, item descriptions, key layouts, and page design for items will pay dividends in the end. I have been using their system for years so we have perfected our page layouts and key where using AccuPOS in our restaurant is second nature. Their sales and support teams are fantastic at getting you started and teaching you the world of POS. Way back when, the install and support team taught me how to set up sku's in QuickBooks, how to define items, how to think POS, and it is a new language. Embrace it, don't fight it, and call their support teams if you get lost or into trouble. I still do, and at this point, I know the AccuPOS system very well. Our migration to Version 2015.2 had some glitches, but with tech support, on the phone with me and their being logged into all of our POS Stations at the same time solved every issue on the punch list. Problems did creep up after the install and I really don't think that I had to wait for a tech form more than 3-4 minutes at the most. So I have to say, getting to a tech to solve an issue has been easy, and I've made about 15 calls across the week since we did the upgrade. No question is too stupid for them, and you're treated with respect. I'm happy they embrace my level of experience but if you're not a POS geek, don't worry. There were some times where tech support was logged in, and I just went to get a coffee. I sat and watched my screen as all the new software was installing. Certainly as a new POS user, they will take you through every step of the way, and you're going to have questions, a lot of them! So, a week after the install, every server, café worker, and myself have agreed that this is indeed the finest version of AccuPOS to come down the pipe to date. It is an awesome POS program that continues to do everything we throw at it. It is stable. It doesn't crash or lock up, and I never thought I'd say POS software is fun to use but this is a real tool to make you money, speed up customer transactions and get the job done. On a side note, we are using Mercury "Token" Processing through AccuPOS and I have had a great experience with them as well. You can call them directly to discuss any issue and they are very responsive. Some things on myAccuPOS wish list would be ApplePay integration and the ability to use some of the high end VeriFone Color Signature Pads with swipe and the Embedded Credit Card Chip reader. I have heard rumblings that the sig pad is in the works, along with more enhancements. AccuPOS certainly doesn't sit on their hands given the latest offerings. I highly recommend AccuPOS! Pros: The first pro for this system is the price, much much lower than other companies and NO EXTRA LICENSE FEES. We have the system installed on two manager PCs to manage inventory levels, items, and interface- as well as the complete POS system in our retail store. We were not charged anything for the extra access, and even had help getting it set up on both extra computers. I enjoy the ease of use. Our older generation of employees have no problems navigating the menus or performing complicated tasks with the system, we can even make the buttons on the POS as big as we want for those with sight issues. The customer service is completely amazing, we have never had to wait on hold or get a call back for a question we had. They are very knowledgeable and eager to help, I have already recommended this system to others in our industry. Cons: There is not much negative about this system or it's company. The only thing that comes to mind is the item listing. In the manager section where the products are added, priced, and tracked, there is no way to completely delete an item. You are however able to make it "hidden". I would like the ability to remove the items I no longer carry completely, but that's the only negative I can come up with. Recommendations to other buyers: If you are an online retailer with a system designed to work with .CSV files, do yourself a favor and have the team help you move the .CSV list over. I managed to get over 1000 products moved into my POS with little hassle, saving me literally weeks of work. 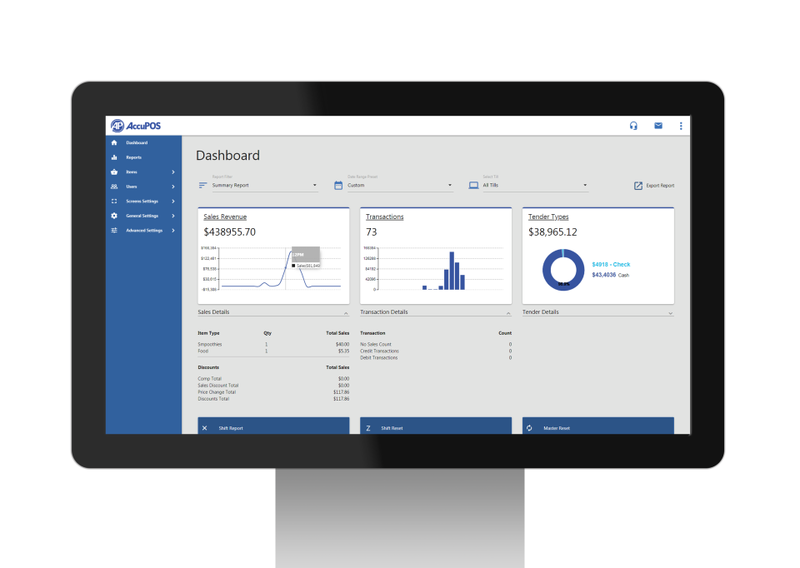 It has a nice feature to connect directly to your Quickbooks for a small fee, which could also save someone countless hours of work. All around great system and a great company definitely worth giving a look. Pros: We run an online business with a retail shop, selling a variety of products. We use AccuPOS in our in store location, & sell products using a barcode scanner. At times we have products that are not barcoded and these are sold using a touch screen. 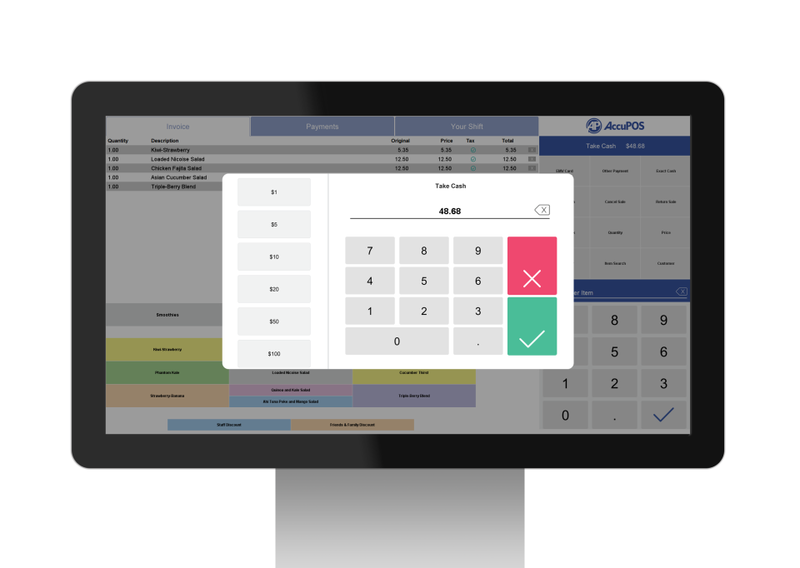 AccuPOS makes the sales processes so easy, training our staff is simplified & at the end of the day our entire sales are imported into our Sage accounting automatically and all the stock is reduced, invoices are created, customer details are added. We are delighted with our purchase. We will add the same solution for our next shop, expected to open in the new year. We also like to praise EuroPOS for the excellent service that we have had to date. From the moment that our enquiry was submitted, we have had exceptional assistance from their sales department and support staff. When we bite the bullet and bought the software, they were by our side each step of the way with the support and logistics to get us up and running on time. Cons: Stock control for our shopping cart would have been beneficial. We have considered a 3rd party application, but not sure if it will work with Sage or AccuPOS. We are using our Sage for our stock control, but have no way of updating the qualities on hand to our web site. Pros: Santa Monica Glatt Kosher Market has been using AccuPOS Point of Sale since 2003 (over 11 years!) for our five-lane grocery store. Our store gets extremely busy on Fridays and holidays, and it is critical that we have a reliable, fast and easy POS system to keep our lines moving and our loyal customers happy. 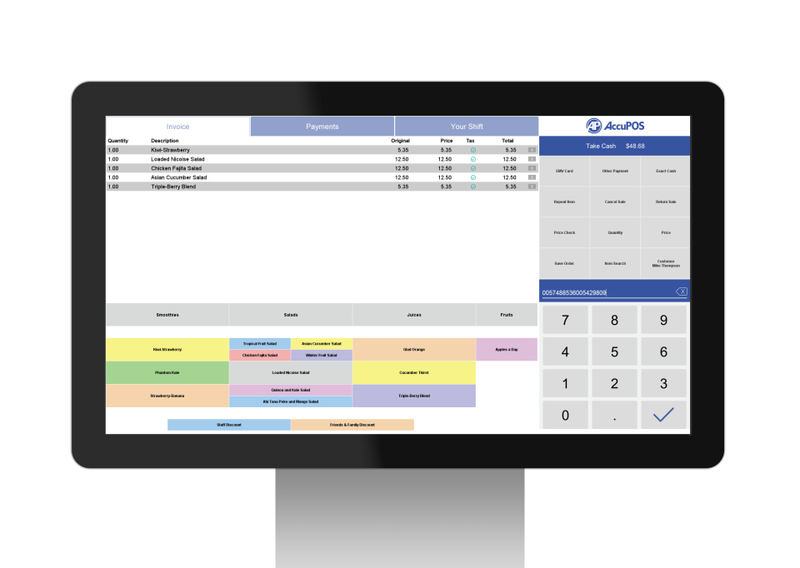 We use nearly every aspect of the AccuPOS solution - accounting integration for inventory management, in-counter scanner/scales, and deli scales. And we certainly put their live support team to the test as we are constantly adding new items and updating prices. The AccuPOS team has been there for us since day one, and we could not be happier with their software or their customer service. We truly feel like they are a part of our team, and we would highly recommend an AccuPOS solution to any small business owner, especially any retail store. Cons: It doesn't work well with keyboards. Holding your hand up to a touch screen all day is not ideal. I guess keyboards are not a priority these days for anyone. Recommendations to other buyers: Price is not everything, and looking for a solution that is flawless is not realistic. I think the most important thing is that you make sure there will be someone to help once you do have issues, and trust me no matter what you pick, you will have issues. Used this software for restaurant order taking/grill orders and checkout. Pros: I liked how simple it was to set up menus and sides and how easy the ordering screens were to read. Training others to modify menus was also fairly easy. Cons: My biggest struggle with this software was accurately tracking cost of waste. The only other issue was getting the printing system to work correctly. Overall: A simpler and better way of ordering and tracking food in restaurant business. Thank you for the feedback Elizabeth. We appreciate your partnership. I will have a Customer Service Rep reach out to make sure all of your issues have been resolved. AccuPOS is good for business. Comments: Its a great software to go with for accepting payments and getting data for all your transactions at one place. its secure and affordable especially for mid to large-scale businesses. Pros: Works well with QuickBooks and other existing accounting systems and software, keeps all data at one place making it easy to get the math for all your transactions, offers trial version for new users who want to test before purchase this also makes it easy to learn, Its more flexible because it compatible with both windows and android devices making it easy to have anywhere, the android version of the POS also ensure that your business is not affected by power lose and remains operational always. Its affordable. Its great for restaurants because it enables communication between the different points. e.g. kitchen and counter. 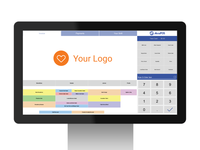 Cons: Its a great software makes payments fast and easy but best fits for restaurants. everything else works well I loved it. Pros: This System really helps make sure the flow in my workplace is constantly moving. We have to be a well oiled machine, and customers expect that pace, so this is a great program and I am glad we use it. Overall: Customer's trust in being efficient. Pros: The price is great for a non-profit budget. It has the basic features that a small non-profit thrift store would need. Overall: It was inexpensive and not a budget breaker. Pros: Customer service, I am an IT and Operations Manager so whenever the POS system goes down for whatever reason I've called AccuPOS and I've gotten the issue fixed real quick. Cons: Security, we got hacked one day and all our files got encrypted. Our IT Team were able to get the files back and unlock the computer. Other than that, everything is great. Should never have purchased this product. Pros: The entire experience was bad. The product was unready for release, yet it had somehow garnered the top ranking among similar products online. The sales staff was diligent and determined, but that's where the fun stopped. Cons: It seems like this was software written by someone who was no longer involved in its development because there were so many bugs and the tech support staff seemed unable to fix even the smallest problems. They always claimed that my requests were "hot list" items, yet those items were rarely, if ever, addressed. Recommendations to other buyers: Do not purchase this product! They advertise themselves as an Intuit "Gold Partner." I don't know what that means. It's also strange because Intuit also tries to market their own POS software for QuickBooks. Why would Intuit name a competitor a "Gold Level Partner"? In my experience, it just isn't worth trying to integrate POS software with Intuit QuickBooks. QuickBooks has its own issues, and a POS system generates a lot of transactional data that gets added to the database. In addition to that issue, when AccuPOS is instructed to zero out a till at the end of day, that entire process is without feedback or logging. Any errors just happen, the zero process simply fails with no indication of what the cause might be. You must manually re-enter all the transactions for the entire day into QuickBooks in order to find which one may have triggered a problem, and even then, you have no idea how to prevent the same problem from happening again. Tech support offers no help for this. Pros: Compatible with most common accounting software and very user friendly. Easy to add products to the software. Cons: Customer service support is not available on weekends and should you have an emergency with the software that is a negative. Cons: The availability of customer support over the weekend. When a business runs 7 days a week but the customer support is not available all those days, it gets frustrating. Pros: It's an easy to use, up to date software that easily adapts to my needs. It's very progressive. Cons: I can't think of anything. Support is excellent and the software works. Recommendations to other buyers: Take your time and talk with the different companies representatives. Are they the same people that will be supporting you? Make sure you know what YOUR needs are. Don't buy features you won't use. Comments: If you are a restaurant or full service bar RUN AWAY! We realized there is a reason everyone else uses ALOHA, it works! Pros: There is support and training service you can call but they are on east coast so if you need help & it's not the morning M-F in California you are SOL! Cons: Support does not know how restaurants with table service function, it will take you hours of explaining to get anywhere. Freezes, glitches, sold us hand held devices tech support doesn't even know exist or how to trouble shoot them. This is a system for counter service or specialty stores not full service restaurants! Comments: We've had AccuPOS in our restaurant for about 6 months and it works well.... when it works, but it is SKY HIGH maintenance and very poorly represented by their "phone service only" service techs. We have spent well over 100 hours on the phone with techs that don't know how to fix problems, if you can manage to get in touch with one to begin with! Be ready for a 45 minute wait nearly every time you are down and have a desperate situation. Today is Saturday about 3pm and there is only one tech on duty! We have customers now and expect a crowded Saturday night and both POS machines are down or, maybe it's the server, who knows. My call has been disconnected or hung up on 3 times and I still don't have a solution. I must say that when it works, it's all that you could hope for but it's like walking through a mine field of insecurity. I wouldn't recommend this system at this time due to the buggy software and the worse than pitiful service with very, very long wait times being put on hold when calling for support. Thank you for bringing this matter to our attention, which gives us the opportunity to examine what happened. In so doing, we learned that there is, in fact, an easy fix to the technical issue you were having. We regret that the call ended in such a way that resulted in you taking to this forum in this manner, however we invite you to call or email us to show you how to permanently avoid your issue from happening again. Regardless of this review, we¿re grateful that you¿re an AccuPOS customer and we¿re always available to help you make the most of your system. We will of course be contacting you directly as well. Be prepared to pull your hair out. Pros: Integration with Quickbooks.It looked good on the demo. Cons: Pretty much everything else. If you add a new item to inventory, it is best to completely delete your current inventory then import it back in. There should be a quick import that does not interfere with the days work. Support does not know the product. I have called multiple times (wait is ususally 20-30 minutes even when they first start taking calls) and support will tell me to do something, it will work for a short period of time then stop. I call back and they tell me to do something totally different. There is no consistency. If you want to accept credit cards without a stand alone machine (not integrated), you have to use their "partner" company and be prepared to pay. The rates are high and change without warning. Really there are too many things to list here. If I had it to do all over again, I would not buy this software. Recommendations to other buyers: Do not buy this software. I can not say it any clearer. Overall: Horrible. I only kept it because I had to pay for it and could not get my money back. Pros: I don't have much experience with the vendor, but I enjoy the ease of use with the AccuPOS system. Navigation is very simple, and my favorite part is the ability to know stock levels and prices with a quick few keystrokes. Saves tons of time, and in retail settings, time is very important. Cons: I don't have much experience with the vendor, so I can't say much. What I like least is that sometimes our manager makes the buttons too small and we have to get him to make them larger so we don't hit the wrong key when entering items. Recommendations to other buyers: I recommend taking the demo if you have not, it's a great system. The touch screen and receipt printer are amazingly fast, and well worth it. Pros: Point of sale system is easy to use. The problem is that they did not disclose all of the information needed to get the full set up. Cons: Terrible customer service. When you buy the product, they do not tell you that you have to purchase 5 other things to make it run correctly, until you are trying to get it all set up. I even asked them during my quote and they told me it was the final price. When calling to discuss it, the manager was rude and would not work with us. He just argued and told me I was in the wrong. Pros: I like that it can integrate with property management software. All inventory items roll up to guest's room folio. Cons: It's quirky to run as a stand alone product for CC processing on OTC transactions at the Front Desk or cafe. Recommendations to other buyers: Try to "break" it with large number of transactions simultaneously or with transactions with 20 plus items. Pros: It's very, very easy to use. I was really surprised how easy it was. Cons: There are some small hangups, but nothing too major. Of course, the cost is always something important to consider. Recommendations to other buyers: Make sure it does everything that you need, because you'd hate to get all signed up for software that really didn't meet all your needs. Pros: I like the ease of use and simplicity. It's very intuitive. Customer service is great, very helpful, and easy to get a hold of. Cons: Can be difficult to customize, would be nice if it was simpler or more "idiot-proof/friendly." Recommendations to other buyers: Ask about using it on a trial or evaluation period-basis first before purchasing. Pros: Ease of use, simplicity and intuitive. Easy to set up. Cons: Software can be a bit glitchy and needs updating too often. Recommendations to other buyers: Be patient and read all of the materials provided with the software. AWFUL COMPANY, TERRIBLE CUSTOMER SERVICE, DECEPTIVE TRADE PRACTICES. Comments: I bought this software and thought I was getting a complete system. They keep on having to sell you things to make the software do what you should have been able to do with it from the beginning. They all lie, and use deceptive trade practices, this company is full of con men and women, I wouldn't even rate them with a 1 star, they are about a negative 5 stars, awful customer service, technical support knows nothing about there own software, be very wary of doing business with this company, unless you like being lie to and cheated. Pros: Very easy to learn! Customer Service is great! Getting set up is not hard at all and being able to have access to the terminal from another computer is wonderful! Adding product is so easy! Cons: Too be honest everything is really great! I haven't had any problems at all! Recommendations to other buyers: If you looking for a POS for your store this is the best by far! Pros: I like almost all parts.it's very nice design.Also, it has good functionality. But it's a little bit slow. Pros: The service department was very helpful. They were friendly whenever speaking with them. Cons: This program is not designed to work with a place that does high volume. It was very slow and caused a lot of confusion whenever our restaurant was in our busy period. Recommendations to other buyers: Try out system before making a final choice. Make sure the program fits business levels.